Facebook offers amazing advertising capabilities including powerful remarketing and retargeting campaigns. On the other hand, WordPress is the easiest and most efficient way of creating and starting a business online. 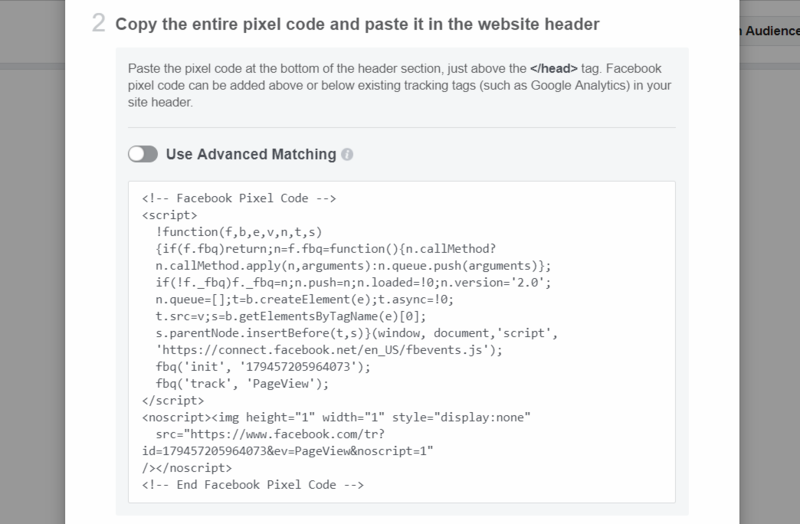 To utilize Facebook's advertising capabilities to boost up your business, you will need to install Facebook's pixel code on your WordPress site, just like Google Analytics tracking code! 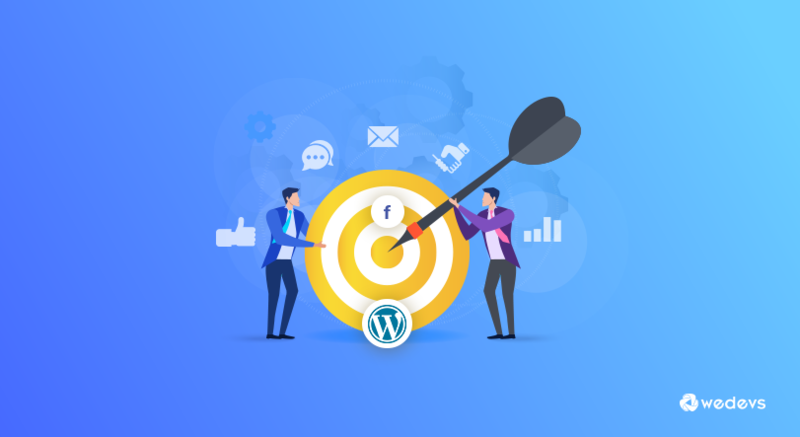 In today's article, we will discuss the process of installing Facebook pixel on WordPress and give you the easiest step by step guide so that you can get started immediately. So, What and Why Facebook Pixel? Advertising tools are almost same for every platform. Facebook definitely offers many groundbreaking features, but they are complex and hard to understand. Facebook pixel is one of them. Although pixel is common in most of the advertising tools. It is simply a piece of code that drops cookies to track visitors on your website so that you can reconnect with them late and show your advertisements. As you may already know, this is retargeting or remarketing. Using pixels you can track the behavior of your customers to who you have already shown advertisements. This is a great way to measure how your ads are doing. You can literally target everyone with Facebook Pixel! On the other hand, if you are running Facebook ads, FB Pixel is a must for you. How Can You Use Pixel Data? Retarget visitors using ads running on Facebook based on specific actions they have shown on your site. For example, you can target and show specific ads to people who have visited one of your pages or added a product to their cart. You can track the conversion from your ads running on Facebook. This data is useful when you are optimizing your ad spend. The process is very easy. In this tutorial, we will try to make it easier for nontechnical people so that they can complete the steps without any kind of coding. 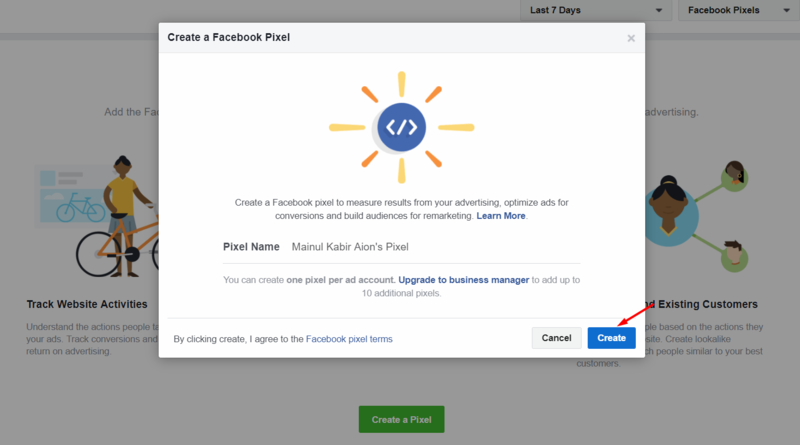 At first, you will need a Facebook ad account from where you can create ads and generate the pixel code. Visit Facebook business manager and log in to your account. Now, navigate to the Ads Manager → Assets menu and click on the Pixels option. You will view the Facebook Pixel create page. Click on the Create a Pixel button. Enter your Pixel name and click on the Create button. When you click on the button, you also agree to the Facebook pixel terms. You will view a success message when you pixel is create properly. Now, you will see a bunch of option that will let you install Facebook Pixel on your site. In this tutorial we will show you how to install your pixel on a WordPress site. We will also add WooCommerce integration for Facebook Pixel as a bonus just for you! 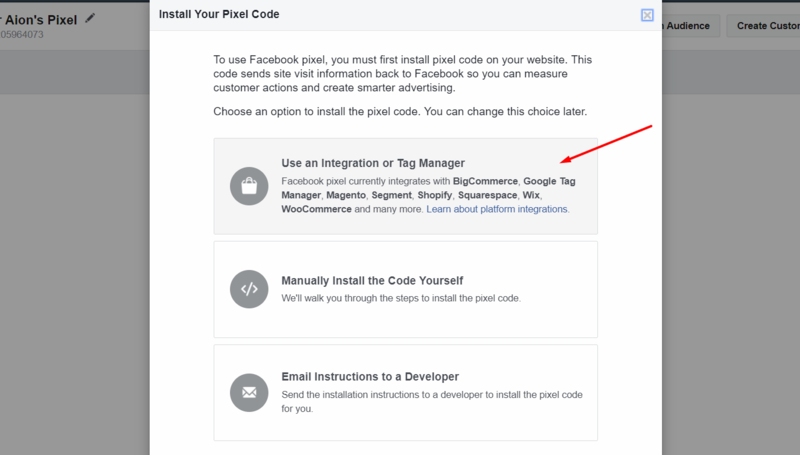 As the first step, click on the Use an Integration or Tag Manager for installing Facebook Pixel on your WordPress site. Select WordPress from the Choose Your Solution screen. 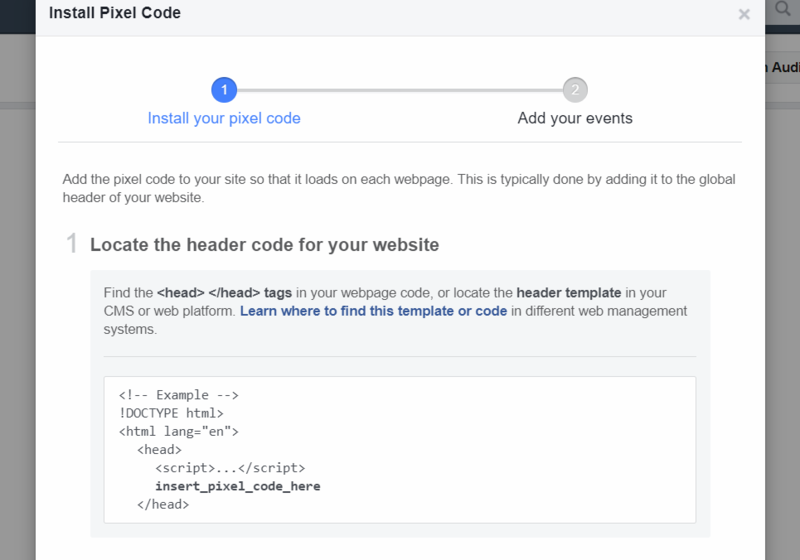 You will now see an instruction screen that you will let you download Facebook Pixel's own WordPress plugin and show you how to install it. Click on the Download button to get the plugin. You can also click on the Next button to get detailed instructions on this plugin. In this step, log in to your WordPress site and navigate to the Add Plugin option. Click on the Upload Plugin option, select the file you downloaded and hit the Install Now button. When installing is complete, Activate the plugin. Navigate to – WordPress Admin Dashboard → Settings → Facebook Pixel. In this Facebook Pixel Settings page, enter your Pixel ID. You can get this ID under you Pixel name from Facebook Ads Manager Pixel page. After adding the details hit the Save Changes button and you are done. If you are an online store owner and using WooCommerce, you can easily integrate Facebook Pixel with your site. For this, you have to choose WooCommerce from the Choose Your Solution screen. From there, you will get a plugin offered by Facebook Pixel just like the previous method. Install and activate the plugin on your site. After installing, you will get a message to complete the setup. Click on the link and you will be redirected to the Facebook pixel for WooCommerce settings. Click on the Get started button. A new window will pop up and show you a welcome screen. Click on Next button and it will authenticate to your Facebook Ads Manager account. From that screen, select the page you want to integrate with your store. Choose your Pixel and choose the products. Finally, click on the Finish button and you are done. 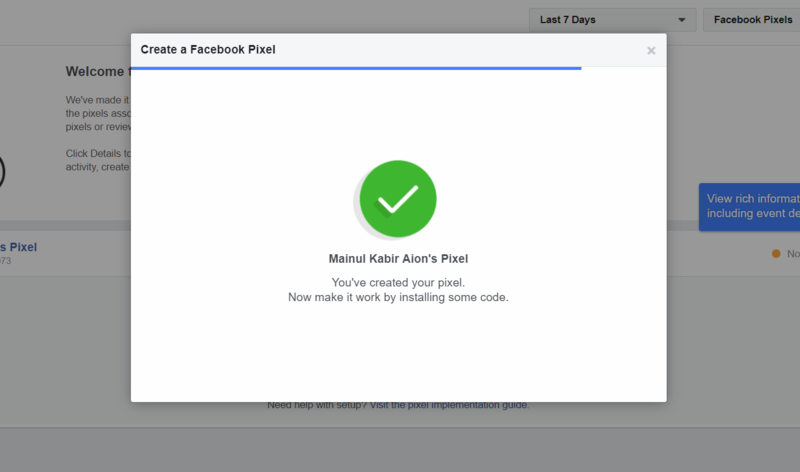 The methods above shows how you can install the Facebook Pixel using integration. This method will show you how to install it manually by yourself. However, the plugins offered by Facebook Pixel are not from wordpress.org. So, you might feel insecure while installing them. Now, click on the Manually Install the Code Yourself option on the Install Your Pixel Code screen. It will show you where you must put the code. You have to put it in the header section of your site. Now, copy your Facebook Pixel code from there. Simply click on the code and it will be copied to your clipboard. You can also test traffic to your pixel. But you must install the code first. After installting the code, you can add events that you want to track with the pixel. For installing the pixel, log in to your WordPress site and navigate to Add Plugins menu. There are many plugins that allows you to put custom codes on the header section of your site. Some theme has builtin options to add custom tracking codes on the head section. If you don't have such themes, search for header and footer editing plugin. For this tutorial, we will use Head, Footer and Post Injections plugin. Click on the Install Now button and activate. Navigate to – WP Admin Dashboard → Settings → Header and Footer. Now, paste your code into the <Head> Page Section Injection field. Hit the save button. Voila, you have successfully installed Facebook Pixel on your WordPress site. Bonus: Want to Track WooCommerce Conversion on Facebook? 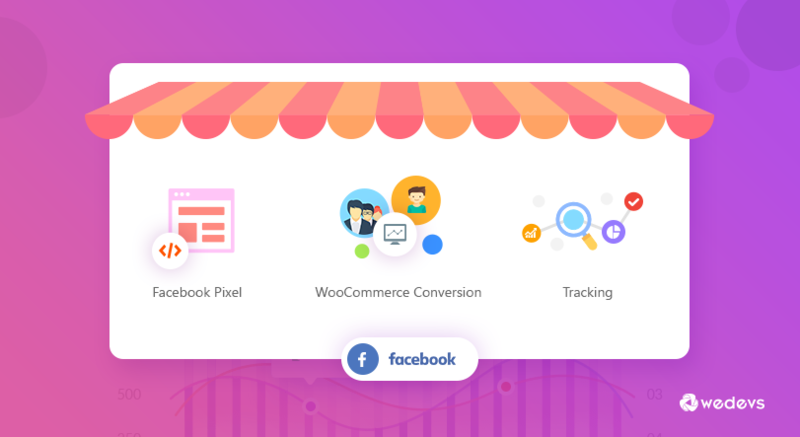 Whether your intentions are integrating WooCommerce store with Facebook or tracking conversions of your WooCommerce store on Facebook Ad platforms, you can consider using this FREE yet powerful plugin – WooCommerce Conversion Tracking. Installing Facebook Pixel is really easy. All you have to do is – generate the code and put it in the heads section of your site. That's it, nothing more or less! 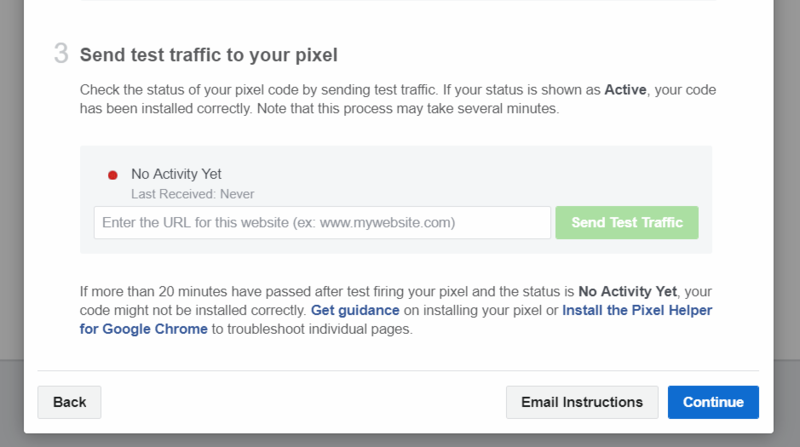 Facebook offers its own plugin to integrate its pixel with your site. Besides that, you can use their other plugin that helps to integrate WooCommerce. We hope this tutorial will help you out to track your Facebook ads and to an effective retargeting. Do share your opinions if we have helped you with this post. No doubt Facebook Pixel is the most important part for every marketer running Facebook ads, the most important being the re marketing activity which saves up the cost. Thanks for the awesome & Informative post. We appreciate that you liked our post. Please do visit our blog regularly for more awesome posts like this one. Hello. I am a bit at a loss. Do I have to install my pixel twice? Once with the WordPress integration and once with the WooCommerce integration? Or do I have to install one pixel for WordPress and another pixel for WooCommerce? Or is it that I only need to install one pixel for WooCommerce? Only one pixel for WooCommerce is okay to go. Simply install the pixel for WooCommerce, that’s it. I use WooCommerce for a quotation feature on my website (made in WordPress). Should I install the Pixel with both WordPress and WooCommerce integrations? What happens if I only choose one or the other? Thanks for your comment. You can only install with WooCommerce. That would be enough. You don’t need to do both. If you need more information, don’t hesitate to comment again. Then, Do I have to create another 10 each pixel ID per 10 products? No, you can track all of them with a single pixel id. If you are using WooCommerce, you can try WooCommerce Conversion Tracking. It makes tracking on Facebook easier for WooCommerce stores. When I download the pixel on Facebook, I don’t have the zip file needed to be installed on WordPress, I only have .php files. Any ideas how should I do? I would recommend you using WooCommerce Conversion Tracking if your site is based on WooCommerce. You can read this blog to learn more. Otherwise, you can download Facebook’s own Plugin from here. And follow this blog. Hi there. Thank you for the very well laid out information. I have installed the facebook pixel on my website. Then I added in the plugin facebook for woo-commerce. In order to complete the setup it asks me to select a pixel and shows that I already have a pixel installed. In the drop down options it doesn’t give me my businesses pixel however, so I can not complete the setup. Should I manually install the pixel in the header? The only thing with that that concerns me is that my site does already have the pixel properly installed. I could create a shop pixel instead and install that if you think that would be best. Need help? Thanks a lot for this awesome post! I followed your steps and have created and installed pixel on the website. I don’t see the pixel under WP Admin -> Settings, however, when I use Facebook’s chrome extension, it’s showing me that it’s there. So, assuming it’s all working fine. Have couple of quick questions for Step 4. 1) Yes, I do see a notification from WooCommerce to finish setting up Pixel. As far as I understand, even if I don’t do this, Facebook Analytics section will still have the analytics data – please correct me if I am wrong here. 2) When I tried to finish setting up the plugin in WooCommerce, the last section mentioned that the Website must sell physical goods. Now, my Website sells Virtual products and services so I didn’t finish this step. Let me know if you have some more information on this. The dangers of just installing the base pixel code manually are that many user events are simply not able to be determined. You will lose a lot of money if you don’t get this right! Really appreciate the great job you are doing, very very helpful post for me and I am sure for others too. Keep up the good work. Pingback: Cauti Woocommerce Facebook Pixel?